Is Jamie Oliver’s Ban On Sugar Working? 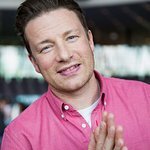 Celebrity Chef Jamie Oliver is seeing some success with his Food Revolution’s Six Point Plan to tackle childhood obesity. In a world where, he says, 41 million children under the age of five are overweight or obese, one of his six points is for governments to provide mandatory targets to reduce excessive sugar in all products and to enforce penalties for non-compliance. Oliver’s blog recently posted that Public Health England has just included sugar reduction in their newest guidelines. “They said if businesses remove 20 percent of the sugar in the most-consumed kid’s goods, 200 thousand tonnes of sugar could be cut down from kids’ diets,” the blog says. Oliver would still like to see the guidelines become mandatory, however. There are other countries with good news that he highlights as well. Canada, for instance, could be set to lead the way with a levy on sugary beverages. An Ontario university study found that “a Canadian tax on sugary drinks has the potential to reduce the prevalence of obesity and to improve the health of Canadians, while providing substantial revenue to support other public health measures.” There is growing support across the country for this levy, as well as restrictions on marketing to kids, improved food labelling and the provision of affordable healthy alternatives. France has another good news story. Over the past decade, France has put several restrictions in place on what food and drinks can be served in schools, and in January regulated that restaurants can no longer offer free refills of sugary drinks.